Also last weekly analysis pointed towards the short bias on long term and we planned the short trade around 371…. we got fill in copper and after giving us fill, copper fallen nicely till our target of 360 and we booked great profit. As mentioned in previous analysis now 360 level offering support to falling price. Now we will wait for bigger pullback and take trade on confirmation as prices are over extended. 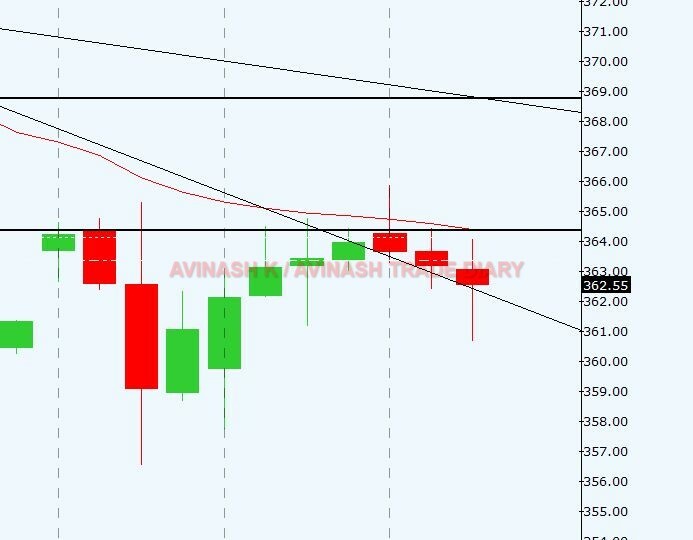 Now trend on monthly is sideways , while its down on weekly, daily and 240 min. But price are overextended so expecting pullback till 380 level. OI analysis suggesting long unwinding.